I believe EVERYONE has a book in them that NEEDS to be written and I want to help you accomplish your dream of finally seeing it in print! There is nothing more rewarding than seeing and holding for the first time the book that you dreamed about for so long and invested so much energy into writing! And with Limitless Solutions Publishing you will not make a dime less publishing your book than I would make publishing my own! Many refer to publishing a book as “giving birth to your dream” because of all that goes into the process…Yet, 97% of people who start writing a book never finish and of those who finish only 2% ever see their book published. So out of every thousand people who write a book, less than 20 ever see it in print! This is a staggering statistic that is completely unnecessary! If you are like me and have an old manuscript that you never finished in a file on your computer or in your briefcase, then you know it was likely because you became overwhelmed somewhere in the process. Maybe you got turned down by multiple publishers (so have I…I was told, “Come back when you’ve written 6 books” – and yet my second and third books became best-sellers SELF-PUBLISHED). 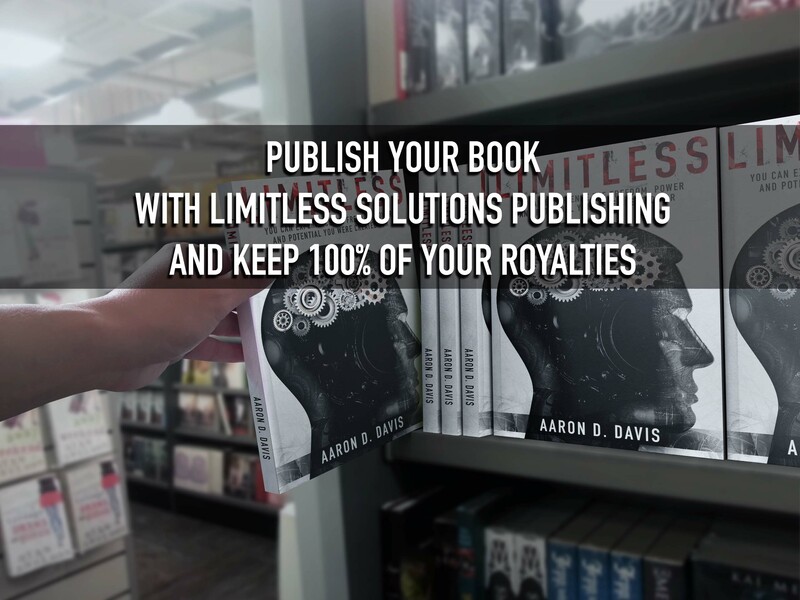 Maybe you tried to figure out how to self-publish but became disheartened when you hit a wall and didn’t know where to go next…It’s okay, we’ve all been there too and that is exactly why I started Limitless Solutions Publishing. As a former S.W.A.T. 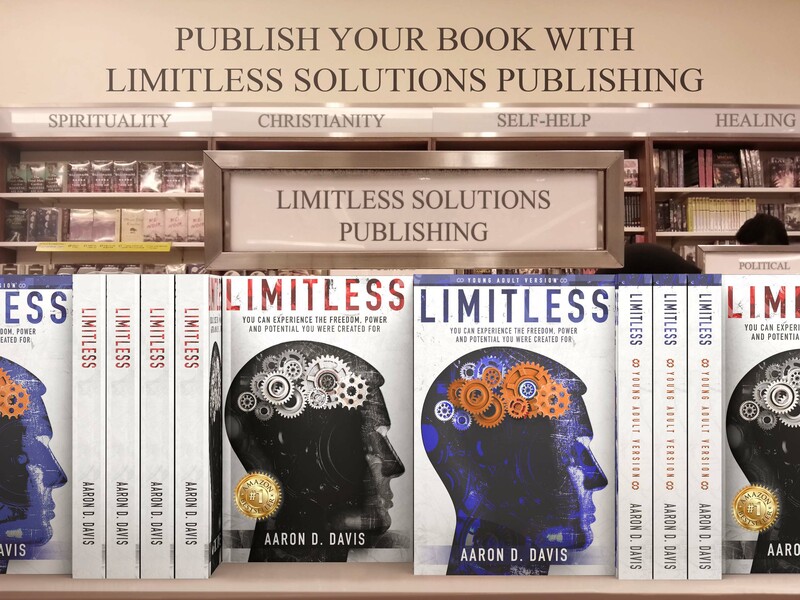 team member and detective sergeant, a pastor, a father and a husband of over 20 years, I’ve combined my passion and dedication for excellence, experience in coaching, and knowledge of publishing to create a new hybrid publishing branch of Limitless Solutions specifically for authors! With the invention of self-publishing, being a published author has taken on a completely new meaning. Going the traditional route today is less about what the publishing company can do for you and more about what you WILL do for them. Case in point, I recently had a friend who is a New York Times best-selling author ask me to coach them in self-publishing their next book because they simply aren’t making the money to justify staying with their publisher! Even a few years ago, when I was approached personally by a publisher, I was expecting them to tell me what they were going to do for me to help the book succeed, but the first question they asked was, “What steps are you going to take to market and sell your book if we publish it…?” they weren’t interested in helping me market it at all, and then they told me what my royalty rate would be. Needless to say, I decided to keep ALL my royalties in my pocket if I was going to do all the work anyway. Self-Publishing does not have to be a difficult process for those who have never done it, but if you don’t know how to do it, who to use, and where to find the necessary resources, you can quickly price yourself out of doing it or find yourself spending a ridiculous amount of time figuring out what you didn’t even know to ask. The next thing I found out the hard way was, many self-publishing companies will double dip on the front and back end by taking a percentage of your royalties (like traditional publishers) while you still are paying them beyond their publishing rate for EVERY SINGLE EXTRA THING you want them to help you with to get it ready for print. They will often subcontract some of the same professionals that I will put you in direct contact with and then mark up the price so they make money on top of what the subcontractor charges them. I’m not going to do that. 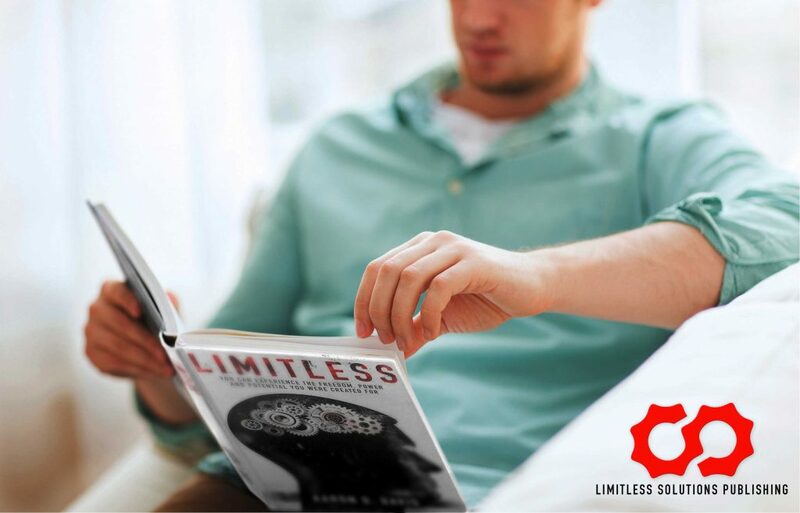 My resources become your resources when you publish with Limitless Solutions. I learned that it doesn’t have to be this way, and I’ve created a publishing model that allows you to keep 100% of the after printing royalties and owning 100% of the distribution rights of your book while still having all the professional input and instruction you will need to finally hold YOUR BOOK with YOUR name on it, in YOUR hands! 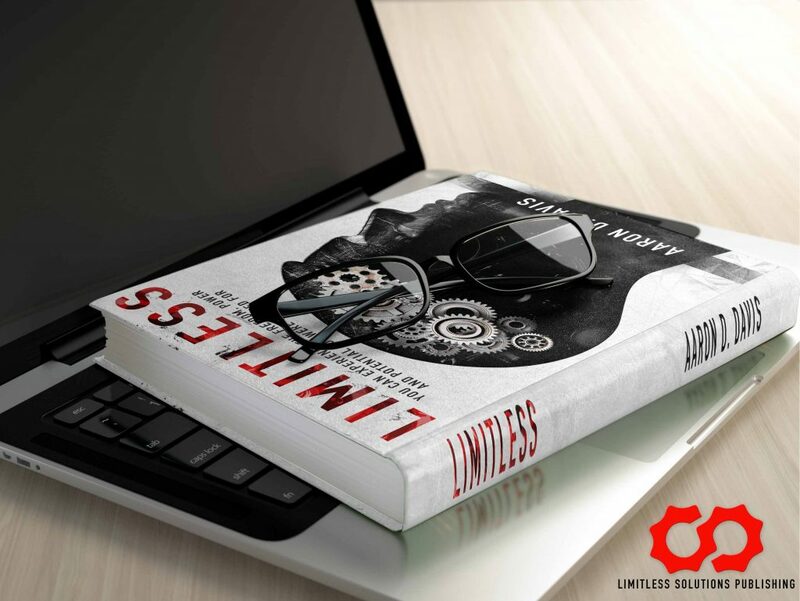 When you publish with Limitless Solutions, you get a flat-rate with no hidden charges. As your needs increase (depending on where you are on the publishing knowledge scale) you can have access to a PERSONAL publishing success coach that you can communicate directly with and who can show you how to self-publish on nearly ANY budget. The money I will save you in resources and time will far exceed the cost of my services. I demand the best resources for the best price for myself and I have spent the time necessary to find those resources and make them directly available to you! To put it in perspective, the 100 page book that used to cost ME $7-$8.00 BEFORE shipping through my previous self-publishing company now costs me less than $3.00. And I don’t have to stock thousands in my garage or even ship them myself when they are ordered! What program do I need to be writing in? How do I format my book to the right size? How do I set my print margins? What format(s) do publishers need to print my book? Where do I go to have my books converted to digital ebooks? What format should I use for the ebooks? What is a clickable table of contents and how do I get one for my ebook? Where do I find a book cover designer? Who should I use to print my books? What will the printer need from me? What’s the difference between an ISBN-10 and ISBN-13? Do I REALLY need to pay $125 dollars for ONE ISBN? Can I publish without an ISBN? Do I need a barcode on my book? Where do I go to get a barcode if I need one? If I choose to publish in hard cover, paperback, and Digital will I need 3 separate ISBN #’s and 3 separate barcodes? What do the dimensions of my bookcover need to be if I have 221 pages vs 178 pages? What’s a bleed margin and how do I set it? How do I lay out the inside of my book so that it is print ready? What should it cost to hire out any of these services? How can I get my books for a fraction of the cost that most buy their books and not have to purchase in bulk or keep several thousand in my garage? As you can see, there is a pretty significant learning curve with self-publishing and the prices with other companies vary significantly for these services. I’ve spent a lot of time figuring out how to get the BEST prices and services out there and you won’t be charged a dime more for anything that I wouldn’t personally pay myself if I were publishing my own book. As a matter of fact, many of the “add-ons” that you would pay for with other companies are completely FREE with Limitless Solutions saving you hundreds of dollars! So contact me today and allow me to help you make your dream a reality that your great-great-grandchildren will be proud to be able to reference as a part of their history and your legacy! I don’t change my flat rate based upon your content, but I do first want to know about the project before I take it on. After all, it will have the Limitless Solutions name attached to it and I want to make sure we are a good fit to work together. I also only take on 10 clients at a time for coaching to assure that they get the best from me! So, if you will, please fill out the information below with a little information about yourself, your book, and where you are in the development process, I will send you a more detailed questionnaire in a follow up email. Whether you are just beginning the writing process and need to attend my writers clinic or you have finished your manuscript and are ready to begin the publishing process, Limitless Solutions can help! Thank you so much for considering Limitless Solutions. I look forward to speaking with you soon!